Fresh green beans with just garlic and butter! Easy to make and delicious to eat. I used fresh green beans that I steamed before adding to the sauteed garlic. Very good. 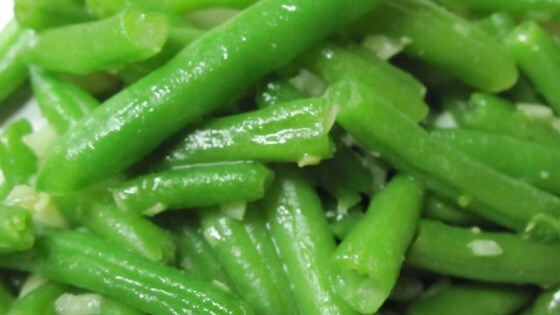 I steamed fresh green beans for 2-3 minutes then sauteed them as recipe stated. A keeper. Very yummy. I added 1/4 cup of pine nuts and it really complimented the dish.